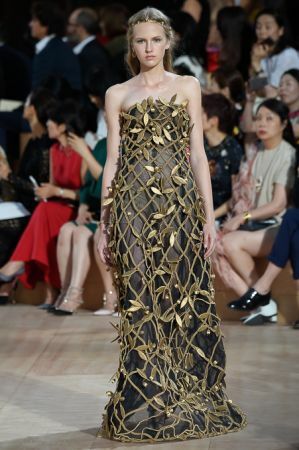 Rome is where Valentino Garavani founded the house in 1960 and generally Valentino shows Couture in Paris with the rest of the fashion houses. This year was different. Designers Maria Grazia Chiuri and Pierpaolo Piccioli toke the house back to its’ original home with a collection celebrating its’ Italian roots with Roman inflections. 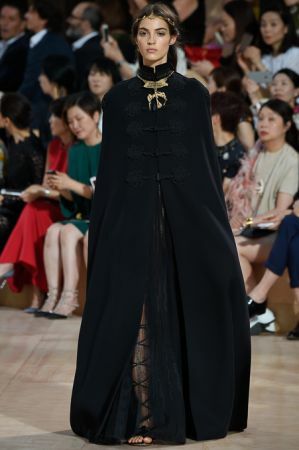 The clothing had iconography that referenced the time when Roman ruled Western civilization and the beauty was no less than goddess inspired. We loved the head crowns and simple but beautiful middle parted locks pinned back and slightly braided. Angelic, royal but slightly bohemian – this collection was everything we could of wanted and more. Here are our favourite looks!